Our Healing Foundation. Get started - Get your health back. We understand your story; it’s our story too. Pain, exhaustion, headaches, digestive problems, cognitive issues, other mystery symptoms? We’ve been living with them and successfully healing them in others for a long time and know better than anyone what it takes to get well. Start feeling better and return healthy. Check out our Tick Support Kit designed to support your body after a tick bite. Want to understand more about Lyme disease and how to manage it? Vital Salts helps me keep electrolytes balanced to prevent dehydration. My wife buys it for POTS, but I started using it for staying hydrated while cycling and it works great! I don’t need to buy or carry sports drinks; I can easily just swallow a couple of pills to prevent muscle cramping. Great value compared to buying sports drinks and is easy to carry a few pills. 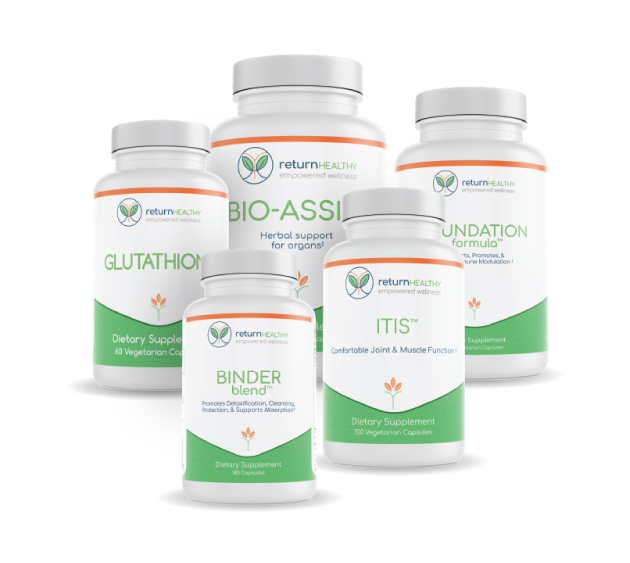 including Binder Blend, Itis, Adaptogen Immune, Vital Salts, and Foundation Formula. 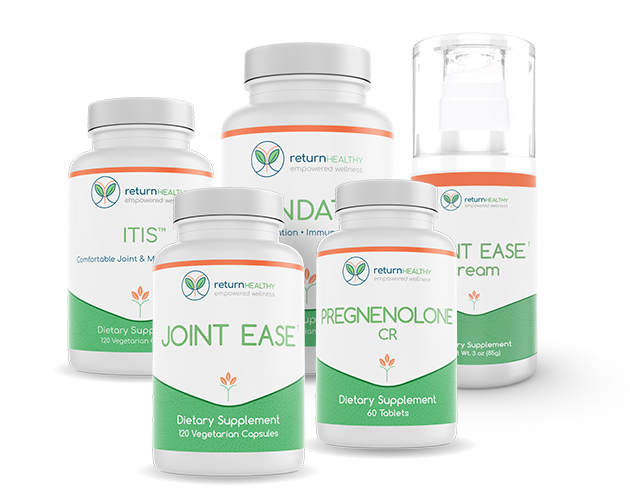 They are effective products, and I consider a vital part of supporting my body while I recover. Binder Blend is an amazing binder for detoxing. I’ve tried a number of other products, but none of them compare to Binder Blend. 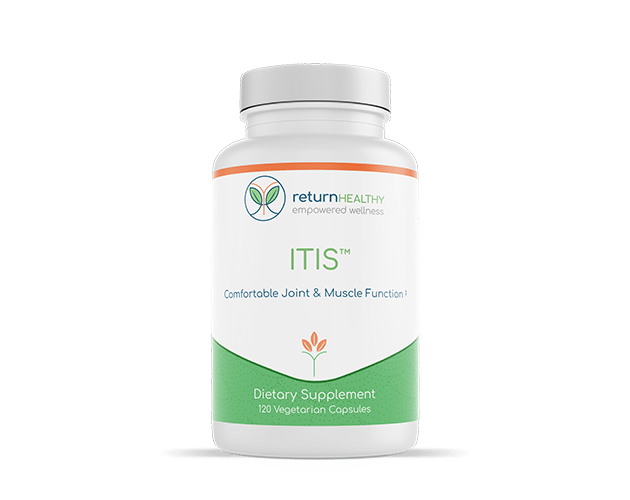 I love Itis for relieving pain and for supporting my body during a herx. Vital Salts is my go-to product for managing my POTS and for helping me feel well hydrated. 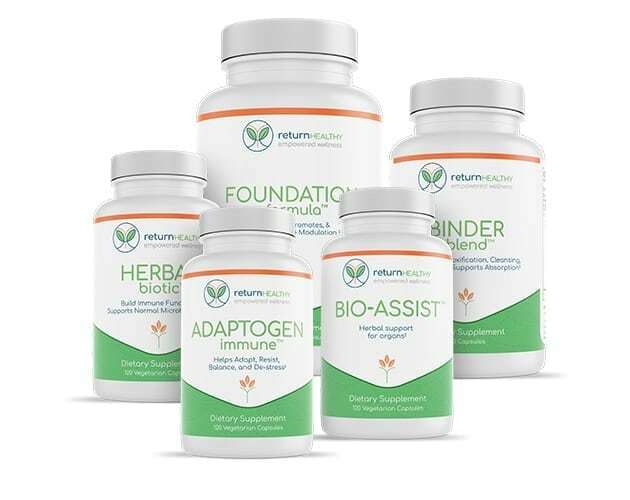 Adaptogen Immune and Foundation Formula support my immune system. I absolutely recommend Return Healthy products to anyone dealing with Lyme. They provide key benefits to help manage symptoms so that I can focus on recovering. The biggest benefit is that I no longer have debilitating fatigue when attempting to detox my body. For 6 months I have been practicing a multitude of different detox methods. Before being introduced to Binder Blend, I could barely keep my eyes open throughout the day and was sleeping for extended periods of time because of the large load of toxins that had been released through the various detox modes. With Binder Blend, I can safely remove the toxins that were causing the fatigue. The Binder Blend capsules are completely odor and taste free, which makes taking them incredibly easy. I would absolutely recommend this product to anyone who is attempting to find ways to remove toxins from their body. It is a major job to eliminate years of built-up waste within the body and anything that makes the process more effective and sustainable, I would encourage. I have taken Itis, Foundation Formula, and Binder Blend for close to 10 years! I am 79 years old I have lived an eventful life, but with that comes aches and pains that are inevitable. Taking these products everyday let me sustain pain-free muscles and joints with an added bonus of sleeping through the night. I am very grateful for these products that have changed my life. I enthusiastically recommend Return Healthy products to anyone!